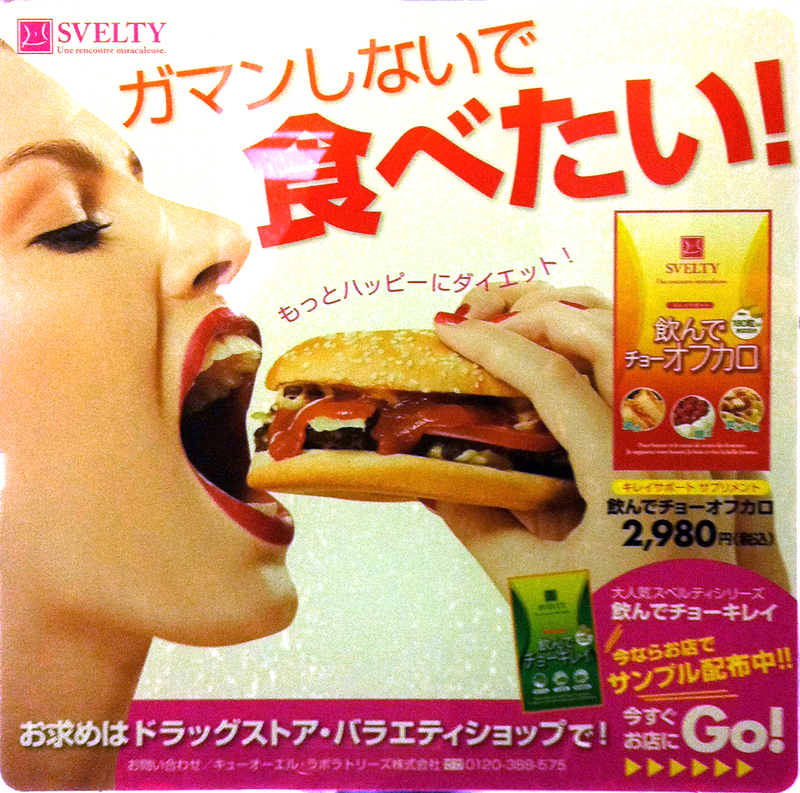 Svelty, the “even happier diet” for those who want to pig out at the all-you-can-eat Mongolian BBQ joint, but not pay the piper the next day. Saw this ad on the subway yesterday, but had to ferret around to find out just how it claims to deliver pound-down-the-burgers-like-a-sumo wrestler but look-like-a-model. Apparently, drinking a carton of this $38 diet supplement will keep half the calories you eat from being absorbed. Scary, or what? Apparently it’s quite popular among young women, who down it before going to mandatory after-work office drinking parties.